Flip flops don't need to be boring OR uncomfortable, as shown by the new Born Eliora sandals. 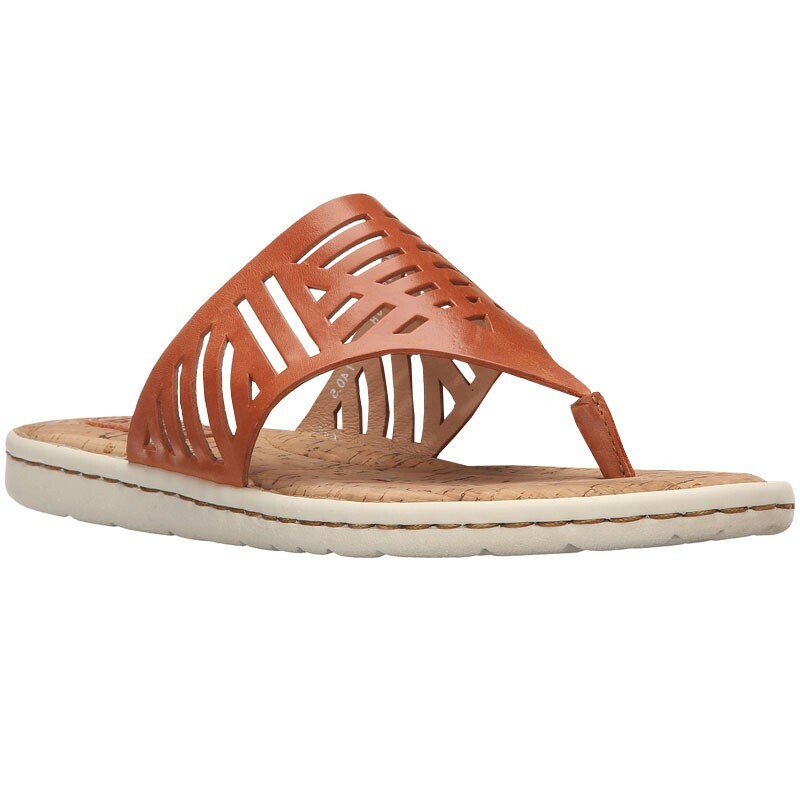 This women's thong-style sandal features a full grain leather upper with eye-catching laser cutouts for visual interest. The cushioned footbed and leather lining create a healthy and inviting interior, while the cork-like footbed cover provides unmistakable summer vibes. The Rubflex shank delivers support, and you can count on Opanka hand-crafted construction to deliver a reliable yet flexible bond. The EVON Plus outsole delivers traction and stability without weighing you down. Turn some heads in the fashionable Born Eliora sandals.